Paulo Goncalves finished the OiLibya Morocco Rally on a high: winning the special and taking a place on the final podium. 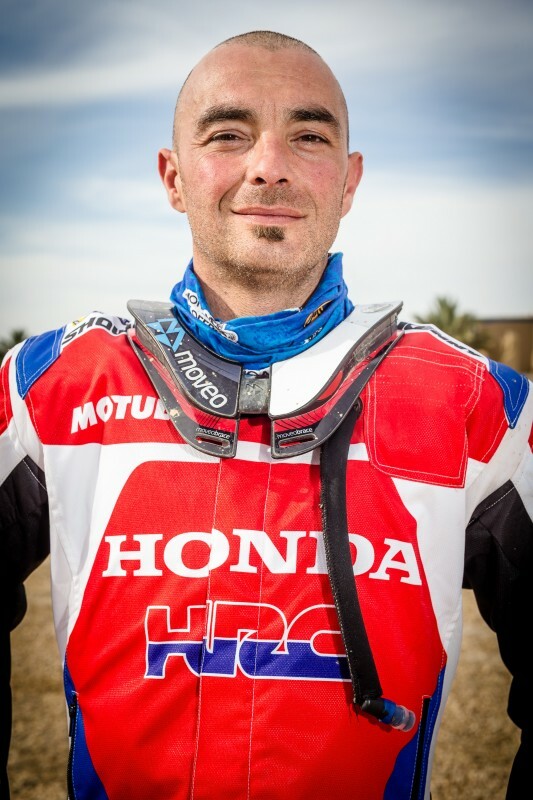 The Portuguese rider rewards Team HRC’s effort and secures a medal in the FIM Cross-Country Rallies World Championship in the process. Paulo Goncalves once again showed what a gutsy rider he is. After seeing his chances of winning in the OiLibya Morocco Rally go up in smoke, the Team HRC ace set out this morning intent on finishing the race on a positive note. 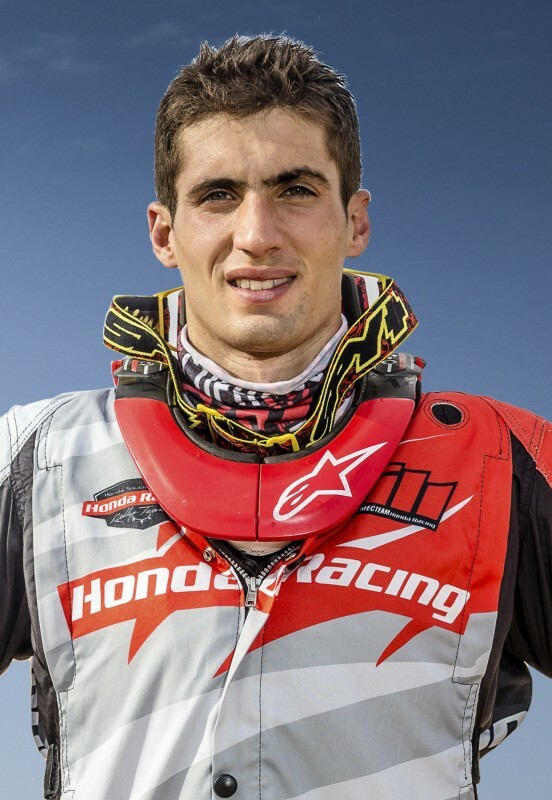 His self-belief paid off in a very complete rally which took the Honda CRF450 RALLY through a navigation-filled and hazardous stage where Goncalves scored the day’s best time. 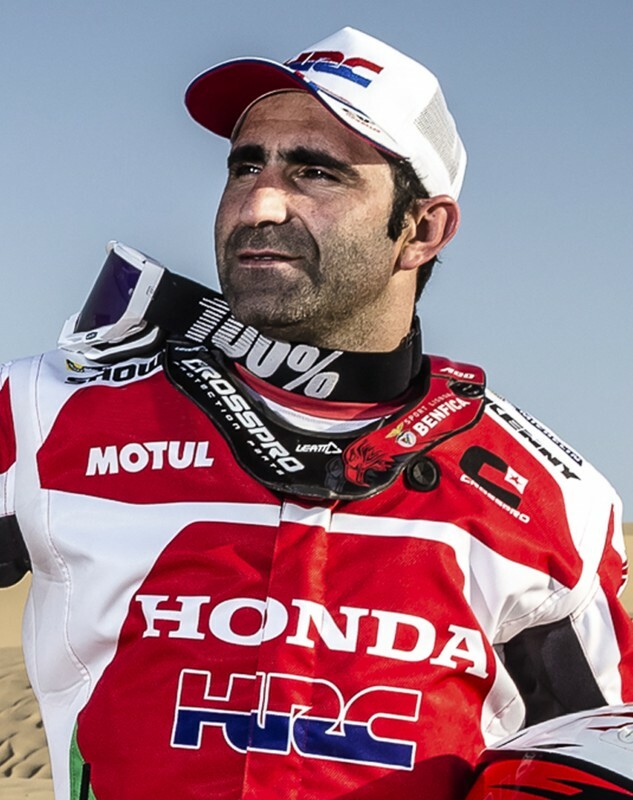 This is the second win for Goncalves; enough to earn a final podium place as well as a bronze medal in the FIM Cross-Country Rallies World Championship. Paolo Ceci takes a positive account away from his first race with Team HRC. The Italian got himself acquainted with the bike and completed the final stage with a swifter pace. Ceci concludes the Morocco Rally in ninth position. It was also a hugely positive participation for the Honda South America Rally Team in the OiLibya Morocco Rally. With Team HRC supplying the technical and logistic support, Kevin Benavides made a giant leap into the world championship finishing up among the sport’s elite. He proved by far the best debutant in the rally. Today Benavides stopped to help Chilean Quintanilla, who had an accident and had to be airlifted to safety by helicopter. It is likely that he will be reinstated with the time lost and could move up from the fifth overall place he currently occupies at the moment of writing this press release. Brazilian Jean Azevedo, finally managed to find the right settings and was far more at ease on the machine. Jean finishes the rally just four minutes off the top ten riders. Yesterday Joan Barreda underwent a thorough medical after the fall in the fourth stage, but has been given the all-clear after tests failed to find any traumas or injuries. The Spanish rider will be ready to roll for next January’s Rally Dakar 2016. We have finished the final race of the world championship, the final test before the Dakar. The final evaluation isn’t a very satisfying one for me, because personally I made some mistakes. On the fourth day, when I hit a rock and broke the petrol tank and the fuel pump, I also lost a lot of time and was unable to win it - which I would have liked. The positive thing is that we were very fast and the only thing that we can add to that is consistency. Third place in the 2015 world championship is great, as are the two stage wins here in Morocco and the final podium place. Team HRC has done a really good job and in this final race things have improved a lot. We have to follow this line if we want the results to come. It was a very nice special stage which you had to pay attention as there was a lot of navigation. There was every type of terrain. I’m happy because when I arrived at refuelling I had already passed Cerutti, who was ahead of me in the overall. I’m also very pleased with the way things have gone and the teamwork that we have done with me as the “new-boy”. I’m very happy about Kevin’s race, which was great and also for Paulo’s win today and the podium. Let’s hope Joan will be back soon. See you at the Dakar! I’m very glad to have finished the Morocco Rally. I happy to have completed my first world championship race in a positive way! I went from very little to a lot as far as getting used to the bike and navigation was concerned. Today, specifically, was a very complicated day. At the start of the special I helped Pablo Quintanilla who had a bad accident and stayed with him until the helicopter arrived. After I continued down the very winding track that was easy to get lost on. It was complicated. But I was able to make it to the end and I’m very pleased to have finished the race. Many thanks to all at Team HRC, Honda South America, MEC Team and also to my family and friends who always support me. Thanks to everyone. In the end this race has been great for training. It has been the first time that I have raced on the new Honda CRF450 RALLY, on a bike that initially was prepared for Metge. My confidence on the bike got better and better, of course. The feelings I had at the beginning have improved and I found a set up of the suspension thanks to the help that the head of Showa brought to the race. 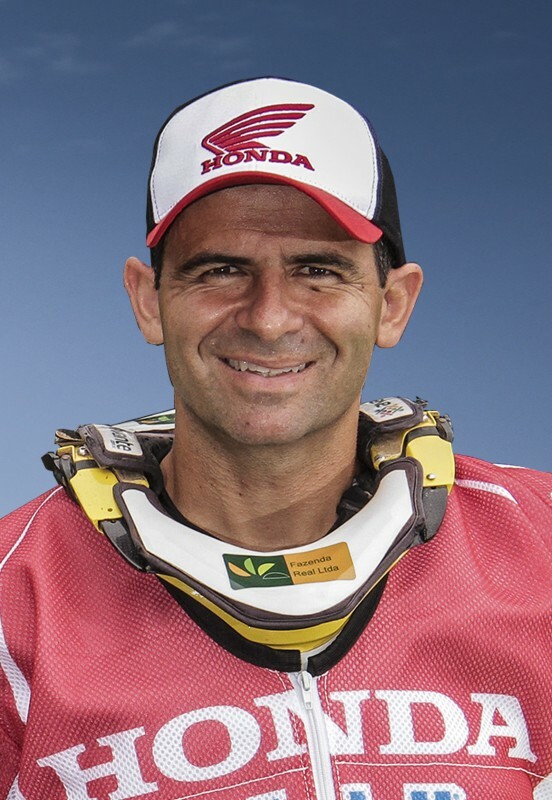 I want to thank Honda, HRC and Honda Brazil for having given me the chance to race here. It has been a great workout and now we can think about the next one: the Dakar.